Stimeyland: I'm Just Going to Leave This Here. OK, I love Downton Abbey. Not everyone does. btw, the mouse ornament, in your facebook feed over there, is adorable. Years ago, my Mom gave me a miniature Christmas tree with tiny mouse ornaments on it. Not because I like mice particularly; she just used to make lots of crafts. I still have the tree. It's very cute. Yep. 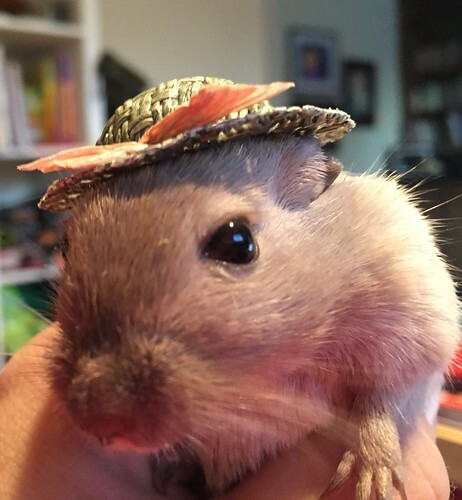 Hats on gerbils. Well done.